Be prepared for this book to keep you up late reading, for once you begin it is very hard to put down. 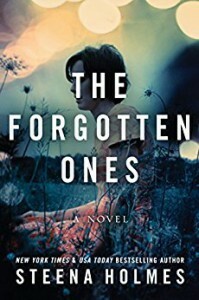 A meeting with her grandfather who she believed to be dead for year, leads to Elle trying to decipher family secrets that have filled her with a sense of dread for many years. Character development is excellent and you will be rushing through the book to discover where does the truth really lie. Another successful novel from author Steena Holmes. Put this one on your to be read list as it is definitely a 5 star read.